http://www.youtube.com/v/BO1pvWUELIUReally Bill? So how do you explain this screenshot of the built-in Parental Controls on my Mac? 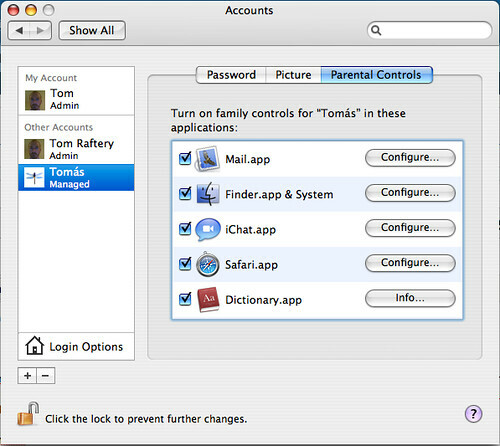 There have been Parental Controls on the Mac for at least three years now (that I can remember, possibly longer). Bill, two possible explanations come to mind. Either you don’t know your competition or you feel the need to lie about your new product. Neither is a particularly satisfactory situation. Cork's Bodega Bar sold – to be closed! Given Microsoft’s dominance in the OS market, Gates probably reckons that most people have little or no experience of OS X, and that he’ll get away with bullsh1t like this. I’ve never understand your eagerness to cry foul on Microsoft at any opportunity. Ok, Gates is telling a little fib but I look forward to reading similar blog posts about Apple upcoming ‘innovations’ in Leopard and the Steve Jobs RDF. Spaces for one is shockingly innovate. Thank you Apple for reinventing virtual desktops. Um, I didn’t actually mention Microsoft at all in this post! Spaces for one is shockingly innovate. I’m not sure what you mean here. Are you referring to Microsoft’s Live Spaces? Surely not. Spaces is about as innovative as the wheel or fire! You don’t need to explicitly mention Microsoft – Bill was hardly wheeled out onto television for his lovely singing voice. He’s the face of Microsoft and always will be. Re: Spaces, I’m referring to one of Apple’s touted innovations in Leopard. There’s not one genuinely original idea in that list and yet Apple fans are somehow deluded to think that innovation is a one way street beginning at Infinite Loop. You can’t compare Time Machine to System Restore. That’s like comparing Microsoft Word and a typewriter! Sure they have some functionality in common but look at how much you can do with Word that you could never do…. Similarly with the iPhone. There is nothing terribly innovative in the functionality of the iPhone but where the innovation shines is in the UI. With a phone like this my father could start reading/writing texts! What has Time Machine got that System Restore doesn’t apart from a useless starfield UI? Seriously. Even if the UI was compelling (which I don’t think it is), it’s by no mean an innovation. Which is what Apple are positioning it as. As for the iPhone who can say at this point that a touchscreen UI will actually work in practice? How do you operate a touchscreen by feel in your pocket for example (more at http://paul.kedrosky.com/archives/2007/01/10/the_five_bigges.html)? correct me if I am wrong (need I have said that? ;-)) but doesn’t System Restore only restore the system state? Whereas Time Machine is completely granular – you can restore files version by version. You can’t operate a touchscreen by feel in your pocket obviously. I guess that cuts out that market segment. Apple obviously feels it is not a huge market. 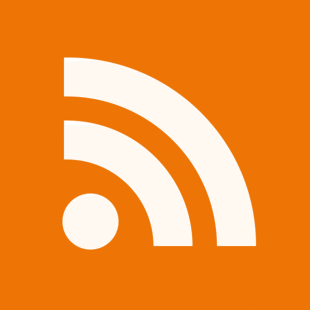 By the by, you did notice that I posted a blog post defending Bill Gates earlier today, right? And I have written favourably about Live Writer, Channel9 and Microsoft Ireland – it is not all negative. So you’re saying it’s trying to copy Microsoft’s VSS? You really have your finger on the pulse of tech Tom. So youâ€™re saying itâ€™s trying to copy Microsoftâ€™s VSS? Stay tuned for Tom Raferty’s next ground breaking exclusive. Come on Tom stop insulting people’s intelligence with this nonsense. Stay tuned for Tom Rafertyâ€™s next ground breaking exclusive. Come on Tom stop insulting peopleâ€™s intelligence with this nonsense. Fair enough on Time Machine. However, from what I’ve read Time Machine is going to backup complete copies of files rather than diffs. If true, that is a seriously stupid way of approaching the problem. Yes, Mac really has parental control software. I think Microsoft should has this feature for next version of operating system.